*Vehicles with coded ignition key(transponder key)/factory alarm will require an interface module to integrate with the the vehicle's factory secuity. ScyTek's Commitment to Success: Scytek is committed to developing and providing to its customers the very best in automotive security and protection products. This commitment is in all elements of the company's operations, and permeates into each employee and their day-to-day company activities. Scytek is focused on every product it delivers to be reliable and dependable, without exception. 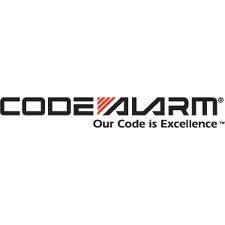 The company takes great pride in delivering the best systems in the automotive security market. Scytek has a long lineage of leading-edge, seasoned professionals. Using this experience, Scytek is consistently delivering reliable products. Scytek is founded on a heritage of more than twenty years in product concept, design, production, and reliability. Scytek products are distinguished by system design integrity. Scytek products are designed and developed in the USA. They exceed every industry standard and benchmark of performance for automotive security products. Scytek products are distributed world-wide with the same consistency and integrity. Since 2002, the Audiovox investment strategy has included a major emphasis on acquiring and leveraging well-known consumer brands. This strategy allows Audiovox to expand product offerings and manage retail channels to give Audiovox the broadest distribution possible. Today the Audiovox family of brands includes nearly 20 trusted consumer electronic brands marketed both domestically and internationally. Our primary brands are world-renowned and include Audiovox, Code-alarm,RCA, Jensen, Acoustic Research and now Klipsch, as well as a number of smaller market or product specific brands. Main Auto Sound installs hundreds of remote starters annually. From basic 1 way 1000 feet systems to 2 way paging systems that can start your vehicle from a mile away. Prices vary depending on vehicle and options wanted. So give us a call and find out which remote starter system best suits you.